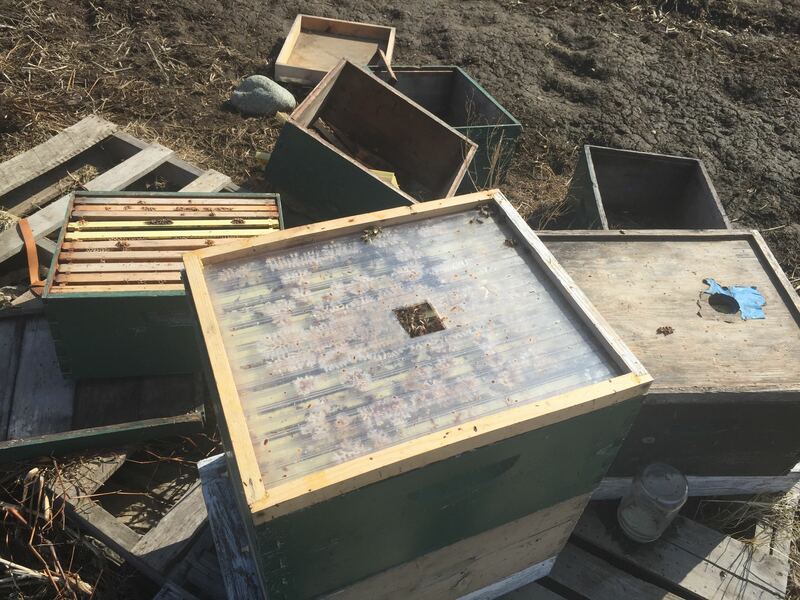 Wind damage, this hive got lots of ventilation. Wonder if the viewable inner cover had a greenhouse warming affect? When I last visited to place a jar of honey over the inner cover hole I thought I placed large enough stones on the tops to hold them down but I was sadly mistaken. 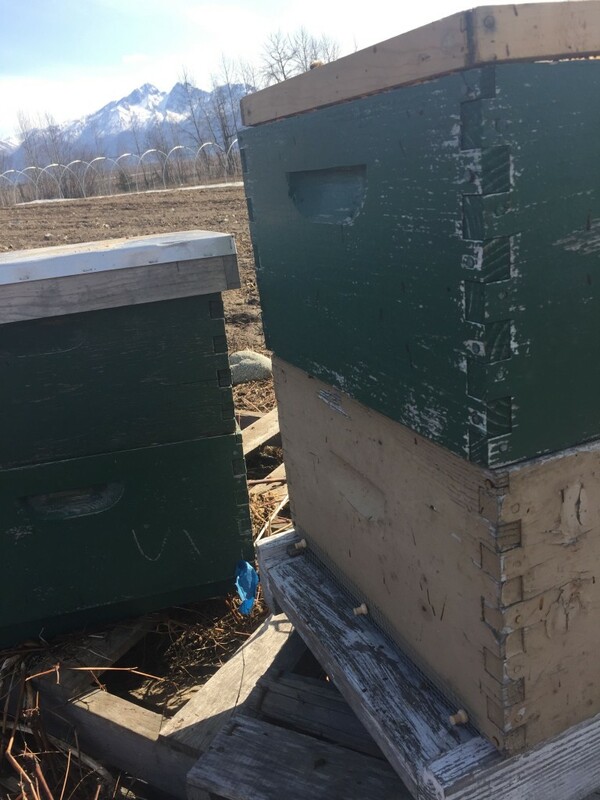 The feed visit I made was back in Dec. before Christmas, between then, and this date this wind storm in Feb. tore a couple of the hives apart, and swept away the hive top, box covering the feeder jar, and the feeder jar, on the remaining survivor colony. There was only three colonies in the yard to begin with. 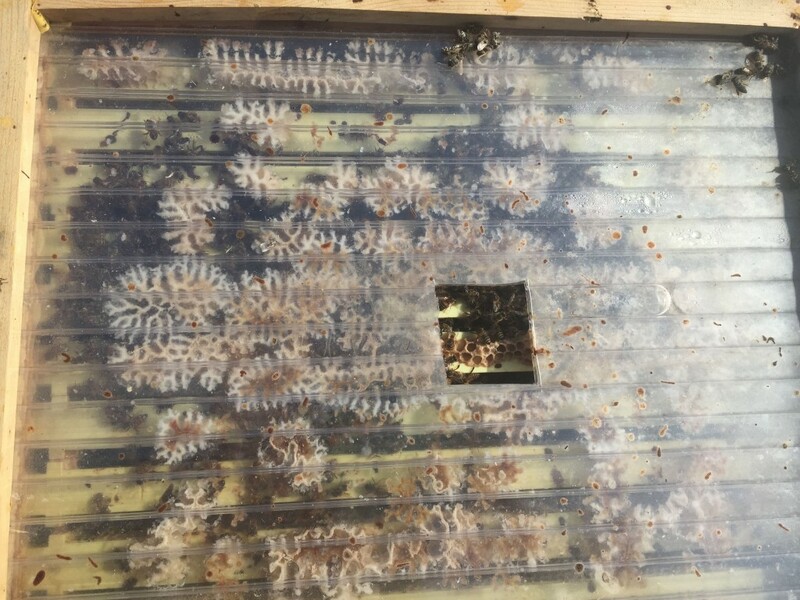 Below I show with photos how the hive was set up, and the condition of the hive as I found it. Originally set up with no upper entrance, 2×4 screened bottom board, 1/4″ hardware cloth tacked on as mouse guard. It also has one of my viewable inner covers, and toped it off with a huge Rock that did not do the job. Must strap done in the future. 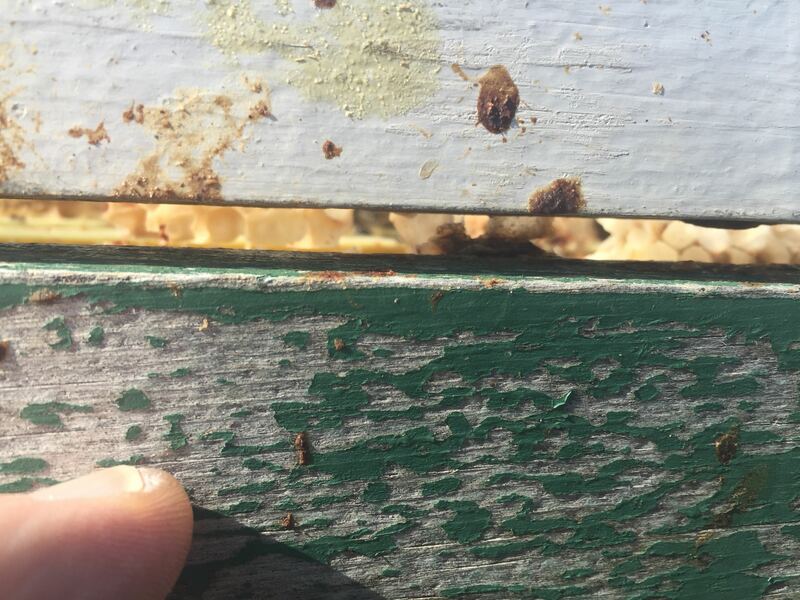 This gap was created by me when I had to cut the hole in the inner cover before I was able to place a feeder jar over the cluster before Christmas 2014. Hive was definitely vented from that point on. It was not my intention to have had it this way. Maybe it survived because of this gap, I do not know, but there is lots of ventilation with this inner cover gap combined with the screened bottom board. 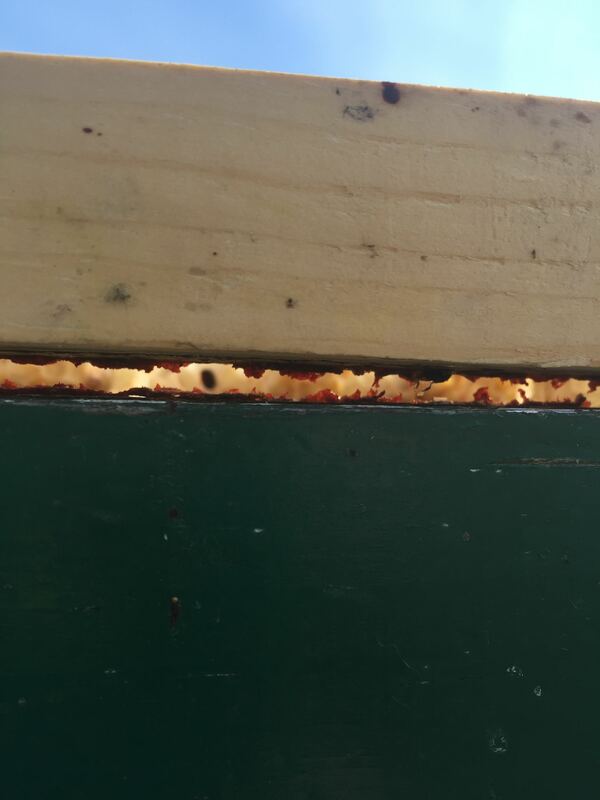 View of other side of hive at rim, lots of ventilation going on with this hive, still it is alive. Viewable inner cover showing the cluster size, almost wall to wall if the cluster were not round.